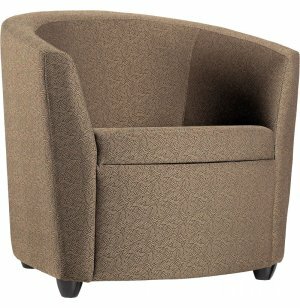 The Sirena Tub Club chair features classic styling scaled for today's professional environment. The versatile design will fit right into an office reception area, employee lounge or executive suite. An attractive selection of upholstery fabrics is complemented by charming wood feet which give the chair an appealing, slightly-elevated look. This tub chair will make every wait a pleasant one. The plywood-core seat has comfy fixed cushions and a webbed suspension for extra support. The cozy seat will envelop your visitors and clients in style. 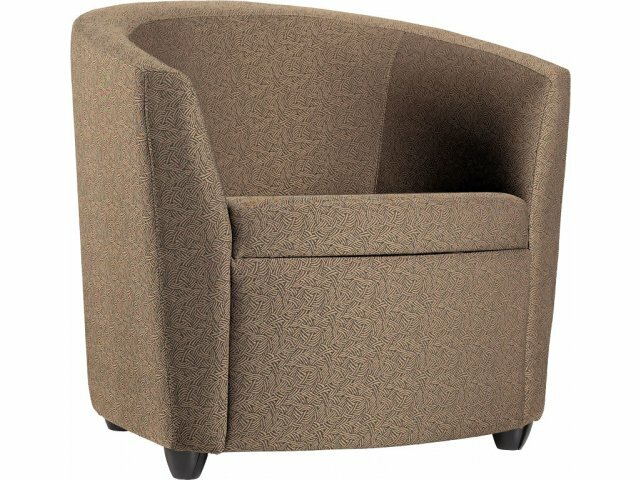 When it comes to choosing a club chair, the bucket style makes a unique impression that is sure to enhance any space. Sturdy Build: Plywood-core seat features a webbed suspension for enhanced support and durability. Cozy Seat: The 3"-thick fixed seat cushions keep your guests comfortable. Elevated Aesthetics: Wooden feet provide added stability and a slightly elevated look. Attractive Selection: A variety of upholstery fabrics lets you coordinate with any décor.